Clement Phaswane was born in Atteridgeville, Pretoria. Clement, or better known as Trancemicsoul by many across the globe, started his house music journey in the late 90’s. His love for house music started in high school (grade 9), at social events held at his school. In 2002 he started buying 12″ vinyls, just like any other dj, he started off as a bedroom dj, mastering and teaching himself the wheels of steel. He completed his matric in 2005 and he was about to choose which field to follow, and surprisingly he chose to study Sound Engineering. 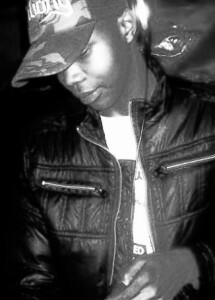 Then in early 2006, Trancemicsoul started his 1st year @ Allenby now known as Damelin. Late 2006 Trancemicsoul decided to explore some of Sound Engineering schools around Johannesburg, and he finally found one! Early 2007 he packed his bags and went straight to Johannesburg to further his studies. He continued his studies at the Academy of Sound Engineering (Auckland Park). Early 2008 he was scouted by a Japanese label called Fountain Music. He was to release his 1st project ever and he didn’t waste time at all, before he knew it, The Trance`lation EP was out internationally and rocking on the dance floors. Just after his 1st release on Fountain Music, he then got lucky once again to release on a South African label called Motswako Underground. He released his 2nd project titled Fragile EP. Middle 2008 he attended the South African Music conference. It was 1 hell of experience for him; he met the industries top dogs and even 2 most top international producers namely: Rocco & Manoo. He gave Rocco 1 of his projects (The Trance`lation), and before he knew it, Rocco unleashed this smash tune at the after parties of this conference. That’s where Trancemicsoul got his breakthrough. He was now noticed by Christos & Vinny Da Vinci. Late 2008 there was a Harrison Crump competition under Soul Candi Records. Trancemicsoul only knew about this competition on the closing date. He submitted his mix just like any upcoming producer, through the power of GOD, he was chosen as 1 of the winners. Once Again (Remixes) part 1 included Rocco remixes and the part 2 included South African mixes in which Trancemicsoul Mix was featured. He was 1 of the few to be scouted by an international guru by the name of Stax also know as Abicah Soul. Abicah Soul discovered Trancemicsoul in late 2008 through a demo Trancemicsoul sent to him titled Ancestral Nights. Ancestral Nights was released under Abicah Soul Recordings in 2009, and since then Trancemicsoul has been on the spotlight across the globe.